Studying crime trends and tendencies is an important problem that helps to identify socioeconomic patterns and relationships of crucial significance. Finite mixture models are famous for their flexibility in modeling heterogeneity in data. 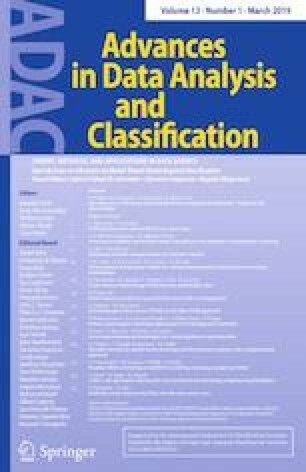 A novel approach designed for accounting for skewness in the distributions of matrix observations is proposed and applied to the United States crime data collected between 2000 and 2012 years. Then, the model is further extended by incorporating explanatory variables. A step-by-step model development demonstrates differences and improvements associated with every stage of the process. Results obtained by the final model are illustrated and thoroughly discussed. Multiple interesting conclusions have been drawn based on the developed model and obtained model-based clustering partition. The online version of this article ( https://doi.org/10.1007/s11634-018-0326-1) contains supplementary material, which is available to authorized users. The research is partially funded by the University of Louisville EVPRI internal research grant from the Office of the Executive Vice President for Research and Innovation.